First up was git. As is usually the case I stated with a local repository and only later decided to use Xcode Server. Once I enabled Xcode Server it seemed to work. But upon adding the remote git repo I ran into strange errors. It repeatedly said the repo already existed on the server but also said there was no functioning remote repo. I'd chosen to connect to the repo via ssh:// and it turns out there was a conflicting entry in my known hosts file. With that entry removed all proceeded as planned. Moral of this story is if you have issues connecting to git from Xcode be sure to try it from the command line and see if there are any errors that aren't being surfaced. A few minutes ago I realized my iOS 9 wish list has grown to 3 items. f.lux functionality built-in to the operating system. It makes my computers so very nice to use. Notification sets. Being able to group a set of notification preferences. Do not disturb is handy but it's the nuclear option. Sometimes, or everyday, I would like to have different "work-day" and "off-hours" notification settings. As a bonus for my colleagues this would man my phone could buzz a lot less while we are on conference calls. Note, however, that you may mask some bugs where your local development server silently redirects to the SSL server where the production server would fail to do so. I haven't had time to find if there is an open issue and this is really about my config so leaving a note here in case it's useful. After a fresh install of Drupal 8 everything looked good. At least until I got to the Add Article page. The page said nothing but "Restricted HTML". Yesterday an important security update was released for Drupal. This update, Drupal 7.32 is a highly critical update for everyone running a Drupal 7 site. 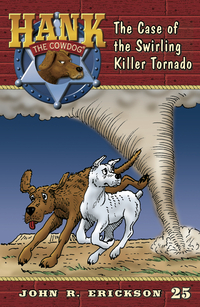 As is apt to happen, being a parent, I was recently listening to a bit of a Hank the Cowdog story in which the canine protagonist is describing being in the heart of a thunderstorm. In typical hyperbolic fashion he likens it to being bombarded by eighty-eight artillery. This seems oh so very appropriate for a Monday morning as it describes well the feeling of wanting to yell incoming while tip-toeing through one's email box. Owing to this issue if one tries to do a drush sql-sync on a system where the remote machine is BSD-Unix based, such as Mac OSX, the command fails with a stat: illegal option -- - warning. The Drush 7.x branch has completely rewritten this functionality and may not suffer from the same issues. So after much poking at ways of fixing it the simplest, by far, is to use the --no-cache option. The easiest option to ensure this is done is to add the command specific command to your alias definition for any sites where the remote site is a mac (or the local if you're going to sync form the local up to some other system).